Huge value. High performance. 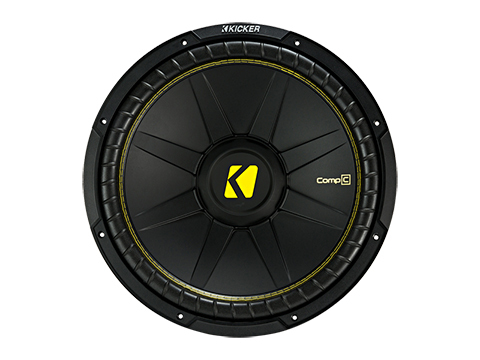 The KICKER® CompC™ Subwoofer pumps out the bass with a stiff, lightweight cone and ribbed polyurethane surround. 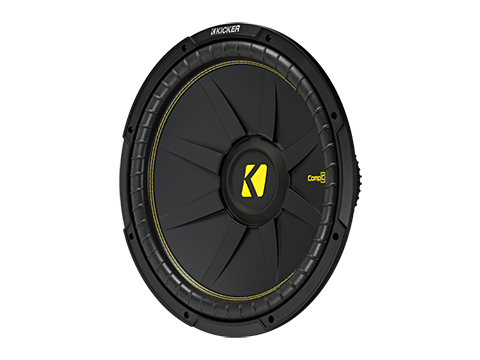 CompC Subwoofers are equipped with a stamped steel frame and world-class durability for hard-hitting, high-performance bass. Want setup help? 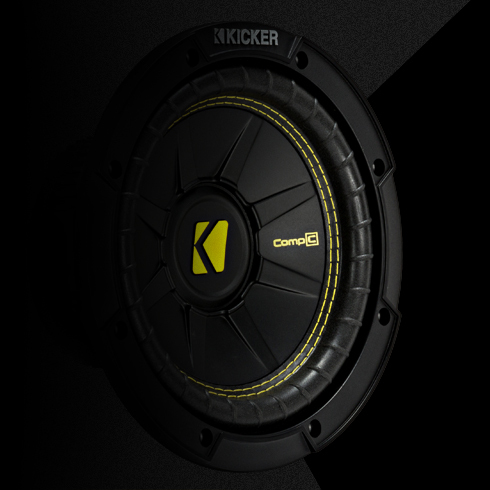 Go to KICKERU for a free woofer & amplifier configuration app! 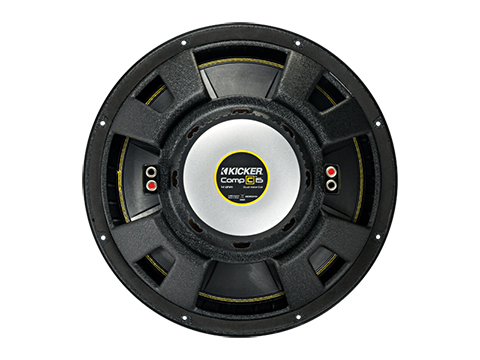 *The CompC 15-Inch Subwoofer works best with a sealed or ported enclosure and 600 watts of recommended power. See below for more details. 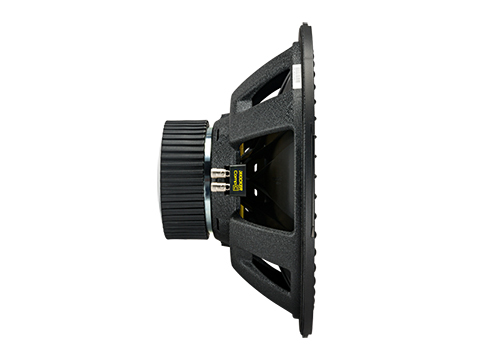 *Assumes typical music program with minimal amplifier clipping; varies with enclosure size. See your KICKER dealer for details. Due to continual developement, product, and specifications are subject to change without notice. Stillwater Designs and it's agents are not responsible for typographical errors.